The biggest weekend for horse racing fans is here! The Breeders’ Cup – now with 15 races offering the BIGGEST payoffs you see all year – is the one weekend where your game needs to be spot-on. With this is mind, within minutes of the Triple Crown ending, the research began for the Breeders’ Cup Super Screener. The first ever Breeders’ Cup Super Screener is the result of a four month long study that included a close analysis of more than 1,500 starters and 40 different variables from the Breeders’ Cup going back ten years. Starting within minutes after the Triple Crown was over – I began the process of creating the ultimate screening criteria for the Breeders’ Cup… and not just a few of the races – all of them! Simply put, this is the most extensive and in-depth Super Screener ever released. Until I started incorporating the factors and variables used in the Super Screener, I was a break-even horseplayer at best. My game improved ten-fold when I started to implement the strategies you’ll have access to in the 2011 Breeders’ Cup Super Screener. Screening Criteria For All 15 Races – The core product are the rules and criteria for every single race over Breeders’ Cup weekend discovered during the massive four month long research study that included 40 variables being applied to 1,500 Breeders’ Cup starters over the past 10 years. This section alone is worth $150. 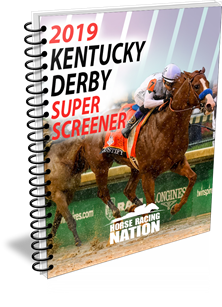 Super Screener Ranker – Projected order of finish of the entire field for each of the Breeders’ Cup races so you can quickly identify the top win contenders, secondary contenders, live longshots and toss-outs. Wagering Strategies – Specific wagering strategies for all budget levels for every race over the entire weekend – all you have to do is bet the ticket! THESE BONUSES WILL BE EMAILED TO YOU AFTER POST POSITIONS ARE DRAWN! This report shows which races you have to spread in, and which races you to narrow your focus, so you can have the best chance at crushing the juicy multi-races throughout the entire weekend including the guaranteed Pick Four’s and Pick Six’s! This alone is worth $50. Wagering strategies and tickets for all of the key Pick 4’s and Pick 6’s through the entire weekend for all budget levels including narrow, money-savings plays as well as aggressive punches – both of which can yield big payoffs! This has a value of $30.